« Loads of Love……….no longer. Holiday Lineup – lines up to exit. Sob. Sob. Sob. 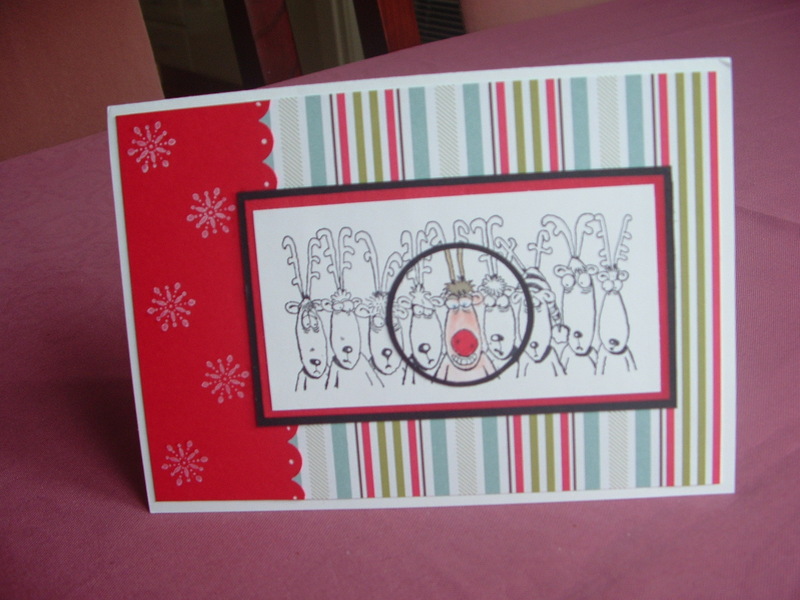 This has been one of my very fave Christmas stampset. 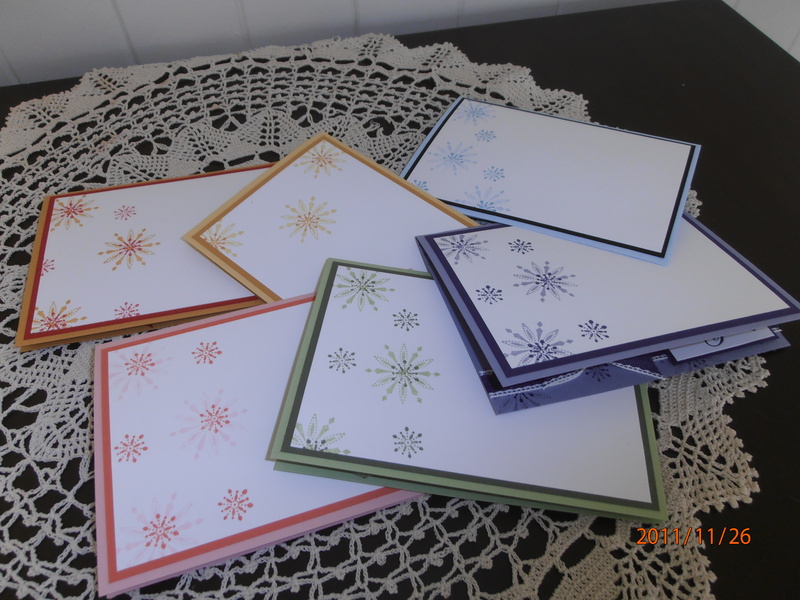 It’s been such fun to use because I just love colouring in with my Stampin’ Write Markers. I love watercolouring them with my aqua pen and inks. I love using them for the spotlighting technique. Let’s face it! I just love this stamp set. Look how amazing they look in differing colours. 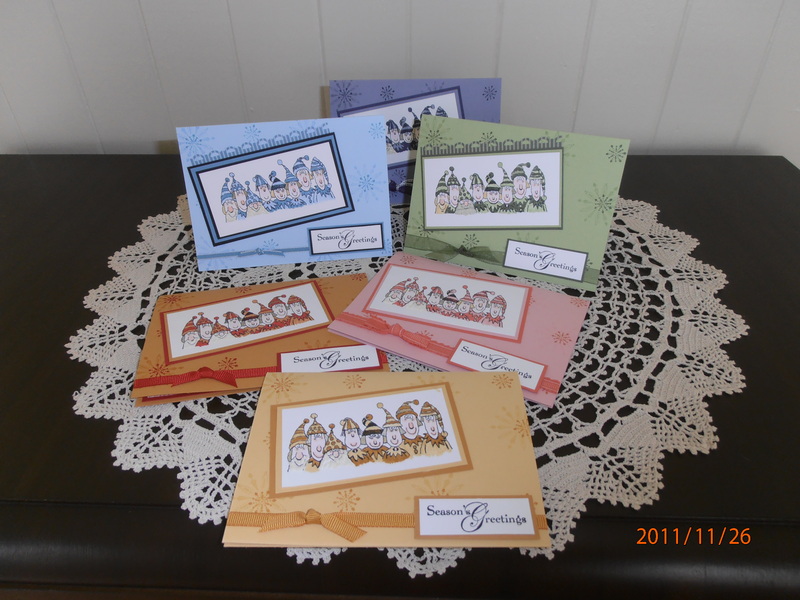 I cased a card of Alisa Tilsner when I created this colour set of Christmas cards. ………..and here it is using the Spotlighting techique. Hope you’ve enjoyed reminiscing with me over this very cute Christmas stamp set. If you’ve been wanting it, now is the time to email me before it disappears from our catalogue forever.